Best Quality Steel Pipes !! Genuine Suppliers of Coating Pipes Tubes, Look Up Quick Results Now!, Better Deal On Bulk Coating Pipes Tubes., Supplier of Coating Pipes Tubes India, Call us Now & Get Free Estimates! 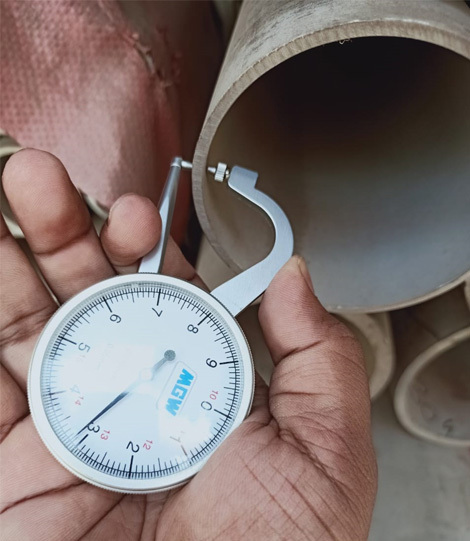 We execute various types of coating for preventing corrosion on pipe’s surface both internal as well as external as per IS, ISO and AWWA standards, which protects steel pipes against corrosion hence increases the pipe’s life. Corrosion is the chemical disintegration of a substance into its component atoms due to its reaction with the environment. It is the degradation of metals commonly referred to as rust. Corrosion of metallic structures causes huge economic impacts around the world. Various anti corrosion methods and techniques are devised and used that effectively minimize the impact of corrosion. Two part epoxy coating on the internal surface of the pipe provides a tough, protective coat with excellent hardness. Coating is done as per IS-3589, AWWA-C-210 with Air less spray Techniques. • Excellent adhesion on mild steels. • Good Mechanical Strength & abrasion resistance. Cement-mortar lining is done inside surface of pipe, and is commonly used for water distribution. Coating done as per IS-3589, AWWA-C-205 & C 602 or as per Custom-specified mix. 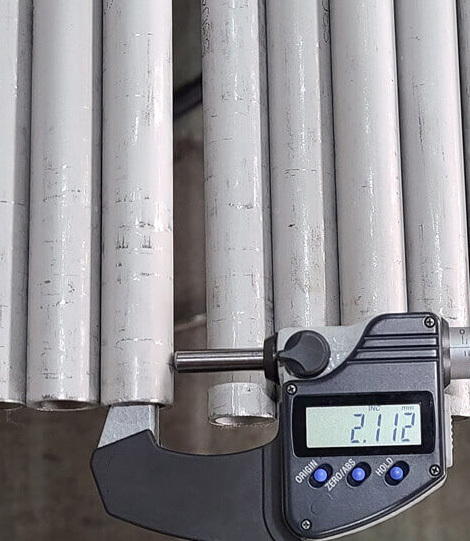 The mix is centrifugally applied to straight pipe 20 through 64 inch in diameter and from 6 to 12.2 meter in length using our custom-designed state-of-the-art equipment. • Very compatible to alkaline influences. • Protects pipes from corrosion and thus increases its life. Guniting is also known as external cement lining. Mostly used for water and sewage. Coating is done as per IS-3589, AWWA-C-205 & C 602 or as per Custom-specified mix. Additional welded wire mesh reinforcement applied to ensure the integrity of the coating. • Protects pipes from corrosion and thus increases life of it. Coal tar tap coating is done as per IS-3589, IS-15337, AWWA-C-203. First pipe is sand blasted as per ISO-8501, after that a coat of primer and then coal tar tape is wrapped with heating application. Coal tar tape consists of Glass Fiber tape & Coal tar. Epoxy Zinc rich primer provides outstanding performance in highly corrosive environment. Metallic Zinc imparts cathodic protection to the base metal. This can be Top-Coated with Epoxy Paints, Polyurethane paints, and enamel paints for specific applications with Air less spray Techniques. • Provides excellent adhesion on cleaned steel work. Pipe varnish composition, after application form a thin film on steel pipe surfaces and after curing, forming a hard essentially non-oily film which protects steel pipes against corrosion during storage for substantial periods of time.